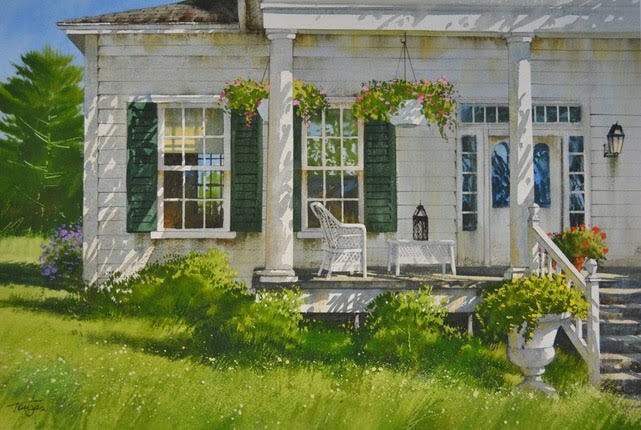 The renowned artist Pierre Tougas offers you a unique watercolour course that will allow you to develop projects with different themes. You will see the artist at work in the demo at the beginning of each theme. During this intensive course, you will be able to make two paintings according to the chosen themes. Accessories: White plastic palette, wood panel (for attaching the watercolour paper), masking tape (1 in), HB pencil with sharpener, eraser, ruler, masking liquid (Pebeo), water sparyer, kleenex, detergent for washing brushes.